Reduce the appearance of stretch marks in just a few days. Penetrates deeply to renew and strengthen stretched skin. 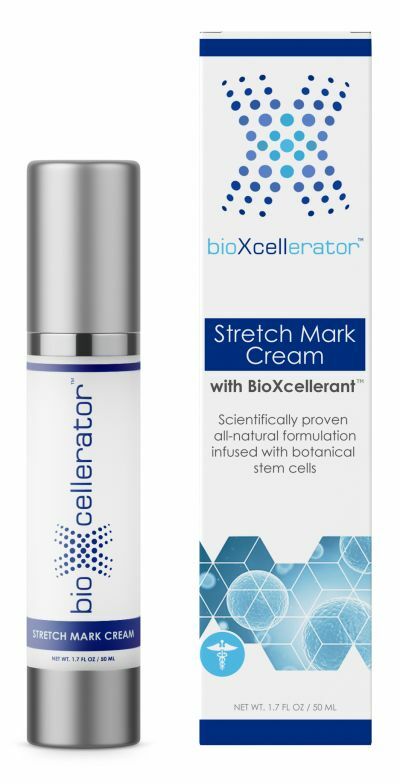 This patented cream includes our clinically-tested BioXcellerant formulation with a powerful blend of botanical growth factors that stimulate collagen production and your body’s own stem cells. Use daily to rejuvenate stretched areas and return your skin to its natural radiance — before those stretch marks ever appeared. Six BioXcellerant core ingredients work together to unlock the body’s own natural healing power. One of these ingredients, Snow algae naturally hydrates your skin — enhancing collagen production, while preventing further collagen breakdown. Price $89; Net Weight 50 mL / 1.7 Fl. Oz. If joint pain, muscle stiffness or inflammation is zapping your energy, Ola Tropical Apothecary’s Lomi Balm may be just what you need to hit the ground running again–naturally. 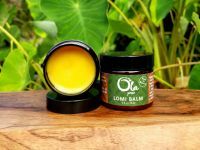 Ola Tropical Apothecary’s Lomi Balm is a natural analgesic product inspired by the traditional uses of Hawaiian medicinal plants. Consulting with Big Island Kumu Lomi, Dane Silva, Lomi Balm was created to target minor aches and pains of muscles and joints. Lomi Balm harnesses the powerful anti-inflammatory, anti-bacterial and antioxidants of Hawaiian medicinal plants, infused with the warming and cooling sensation of menthol and camphor essential oil making it ideal to relax sore muscles, stress and tension. •	Passion Flower - High in Anti-oxidants | Soothing |Anti-inflammatory. Hawaiian Beeswax is also used to provide a synergistic and holistic medium to help maximize all the healing benefits. Ola Tropical Apothecary’s Lomi Balm has a suggested retail price of $24 for a 2 ounce jar (a larger 6 ounce jar is available for spa/wellness professionals). To view the entire Ola Tropical Apothecary collection or to make a purchase please visit, www.hawaiianbodyproducts.com. Ola Tropical Apothecary is a natural-based bath and body spa collection centered on the Hawaiian concept of beauty and wellness. Each of the Company’s hand-crafted bath and body products combine beneficial botanicals, oils, fruits, sea elements and flowers in the time-honored, traditional Hawaiian way. By supporting Ola, you support local small farmers and business, as well as a Company that is responsible, transparent and sustainable. Please visit www.hawaiianbodyproducts.com for more information. Scientifically-engineered formulation designed to dramatically reduce the appearance of scars. Penetrates deeply to rebuild damaged and wounded skin. This patented cream includes our clinically-tested BioXcellerant formulation with a powerful blend of botanical growth factors that stimulate collagen production to help reduce the appearance of scars from surgical procedures, recent wounds or those suffered many years ago. Use daily to build skin elasticity and watch even the most damaging scars dramatically fade away. Price: $89; Net Weight: 50 mL / 1.7 Fl. Oz.